The official 2017-2018 DVSA pass rates and addresses for your local driving test centres Southern Scotland. Want to know the most recent 2018 pass rates and routes for your practical driving local test centre? Dumfries DVSA Practical Driving Test Centres. Castle Douglas Practical Driving Test Centre. Additional information: Toilets are available. Arrangements can be made at this test centre if you have a disability. Please contact the DVSA to arrange prior to your test. Driving Test Pass Rates Castle Douglas Driving Test Centre. New 2017-2018 Car 55.4% or 80.4% if you use The Secret*. Click here for information on how to pass your driving test 1st time by using DVSA ADI devised The Driving Test “SECRET”. Dumfries Practical Driving Test Centre. Driving Test Pass Rates Dumfries Driving Test Centre. New 2017-2018 Car 50.8% or 75.8% if you use The Secret*. Click here for information on how to pass your driving test 1st time by using DVSA ADI devised The Driving Test “SECRET”. Newton Stewart Practical Driving Test Centre. Additional information: Please note there are no car parking spaces available. Driving Test Pass Rates Newton Stewart Driving Test Centre. New 2017-2018 Car 49.5% or 74.5% if you use The Secret*. Click here for information on how to pass your driving test 1st time by using DVSA ADI devised The Driving Test “SECRET”. Stranraer Practical Driving Test Centre. Driving Test Pass Rates Stranraer Driving Test Centre. New 2016-2017 Car 63.8% or 88.8% if you use The Secret*. Click here for information on how to pass your driving test 1st time by using DVSA ADI devised The Driving Test “SECRET”. Ayrshire DVSA Practical Driving Test Centres. Ayr Practical Driving Test MPTC. New 2017-2018 Car 45.5% or 70.5% if you use The Secret*. Click here for information on how to pass your driving test 1st time by using DVSA ADI devised The Driving Test “SECRET”. Brodick (Isle of Arran) Practical Driving Test Centre. New 2017-2018 Car 62% or 87% if you use The Secret*. Click here for information on how to pass your driving test 1st time by using DVSA ADI devised The Driving Test “SECRET”. Cumnock Practical Driving Test Centre. New 2017-2018 Car 55.1% or 80.1% if you use The Secret*. Click here for information on how to pass your driving test 1st time by using DVSA ADI devised The Driving Test “SECRET”. New 2017-2018 Car 63.1% or 88.1% if you use The Secret*. Click here for information on how to pass your driving test 1st time by using DVSA ADI devised The Driving Test “SECRET”. Irvine Practical Driving Test Centre. New 2017-2018 Car 53.1% or 78.1% if you use The Secret*. 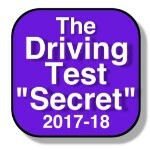 Click here for information on how to pass your driving test 1st time by using DVSA ADI devised The Driving Test “SECRET”. 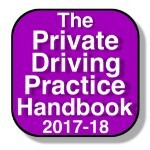 Lanarkshire DVSA Practical Driving Test Centres. Airdrie Practical Driving Test Centre. New 2017-2018 Car 47.7% or 72.7% if you use The Secret*. Click here for information on how to pass your driving test 1st time by using DVSA ADI devised The Driving Test “SECRET”. Hamilton Practical Driving Test Centre. New 2017-2018 Car 46.5% or 71.5% if you use The Secret*. Click here for information on how to pass your driving test 1st time by using DVSA ADI devised The Driving Test “SECRET”. Lanark Practical Driving Test Centre. New 2017-2018 Car 52.3% or 77.3% if you use The Secret*. Click here for information on how to pass your driving test 1st time by using DVSA ADI devised The Driving Test “SECRET”. * Or –% higher (driving test centre pass rate) with the “secret” is based on the findings of an experienced DSA ADI who saw their pupils pass rate increase by over 25% when they started recommending the Driving Test Secret & Secret Revision Cards to all of their pupils.